While this was long in the making and slowly bubbling up towards the top, I finally realized this week that N scale is not where my heart is. For weeks (months) I have been struggling to fully embrace the N scale. I thought as time went by the small nuances and quirks that bothered me would go away…they did not. And thus my struggle with lying to myself all this time that N scale is what I want to model in. 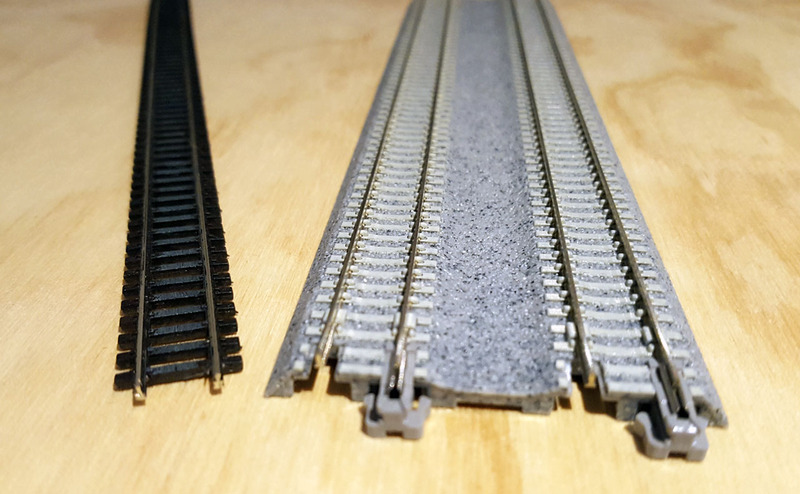 I liked the idea of more railroading: track, scenery, everything in the same space I have available. Yet, the fiddly nature of the N scale never left my mind each time I held a piece of equipment. It was like holding a baby: which way should I do it so it doesn’t break. It simply did not have that feeling of heft that the larger H0 scale gave me. There are other reasons, but it really sums down to H0 being the scale I always knew from the time when I was a boy. I grew up with H0 and it’s in the core of my being. So, farewell N scale – you are still a great scale just not for me…welcome back H0. It’s been over a week without an update on the layout. I spent the time to rest and reflect on the progress so far. Looking at what’s next, I still do not have a concrete idea of what kind of a helix to build or a finished plan for the lower level. 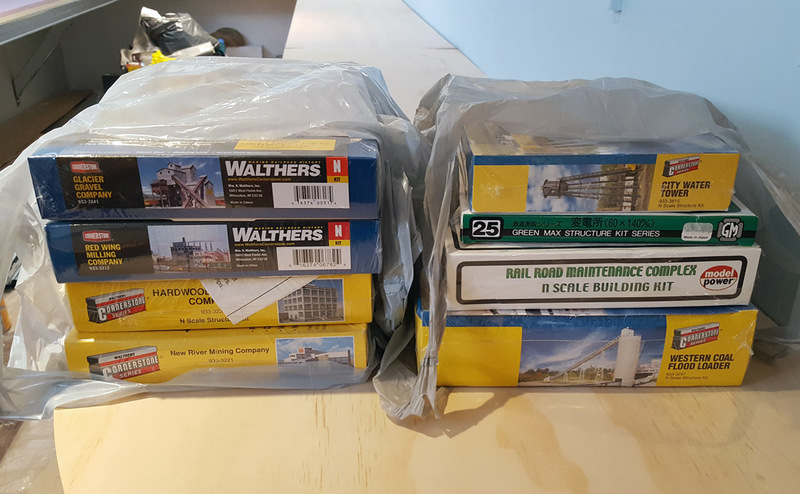 Today I went to the LHS and ended up getting “a few” buildings to help me contemplate about the industries to add to the layout.